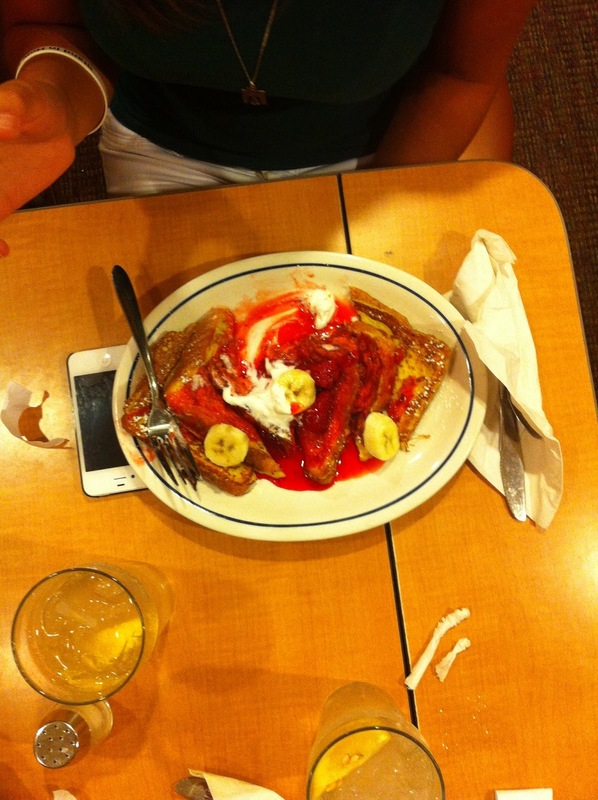 summer bucket list #11- breakfast at midnight. crossed off. 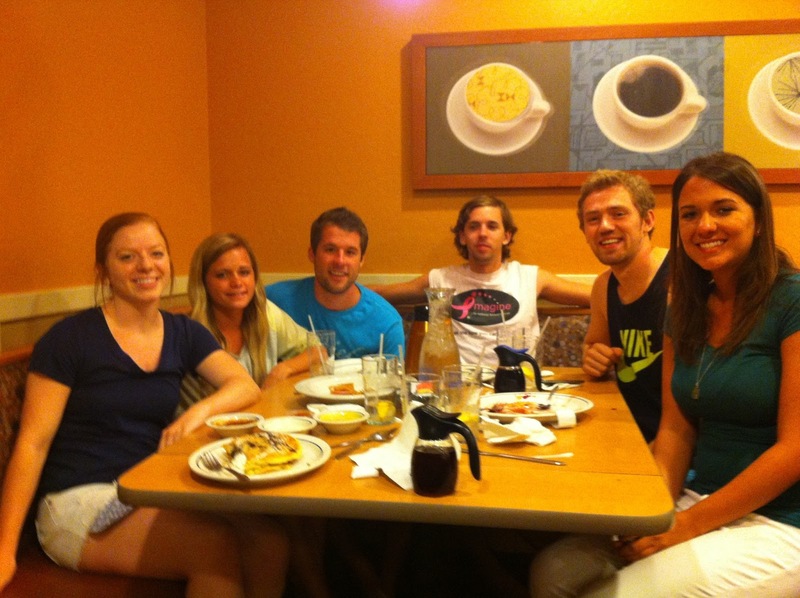 Soooooo #11 on the ole' bucket list was breakfast at midnight, easy peasy, BUT had to be done. and documented. per usual. Anywayz, I'll skip to the good stuff. aka pix on pix and a nice little video on the experience. This is your exact thought, I'm sure "whose the freak who didn't order breakfast?" I'm that freak. Seriously I think I always get the sampler. 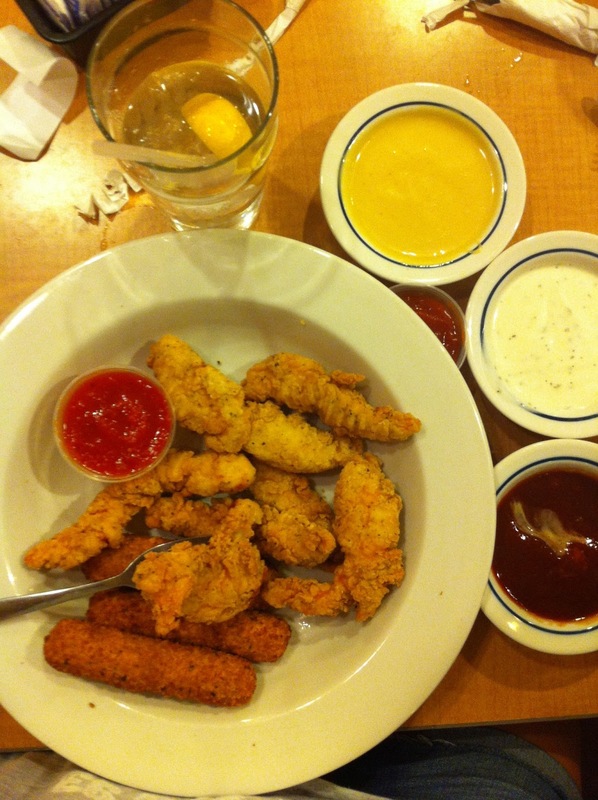 I love chicken and I love motz sticks. Always. Any time of the day. So I always get it. I eat anything for breakfast so this wasn't some weird new experiment, It was life, my friends. Kelsey aka, the normal end of this bucket list, got this yummy little thang. And here's the group! We're all real tired and stuffed full in this photo. And they were all apart of helping us cross this off the list, buncha sweeties. Tell Matt he desperately needs a haircut. outstanding blog. i love to work on this place.